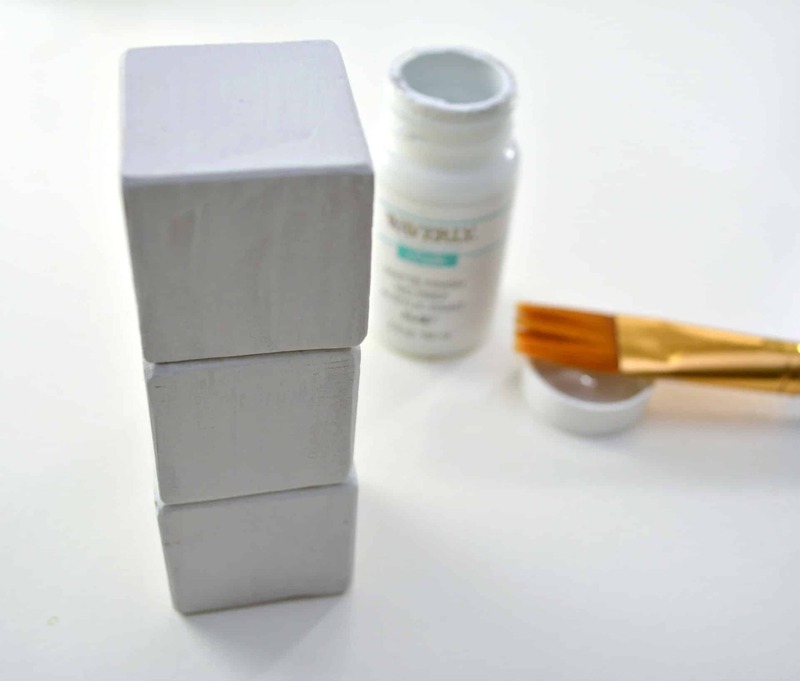 You want to paint all 3 of your small wooden blocks white. 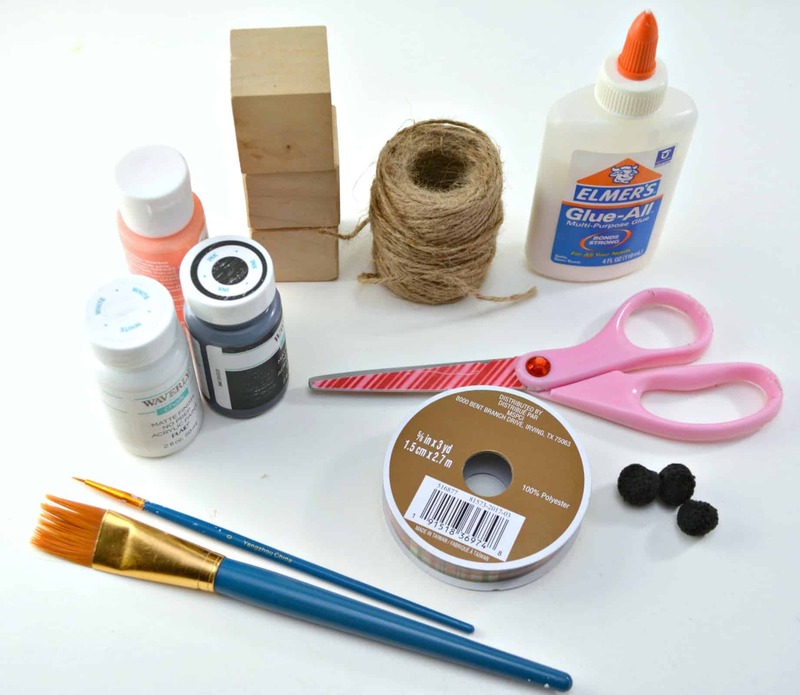 You can use any type of craft paint you want, but a chalk paint dries quickly and requires only one coat. 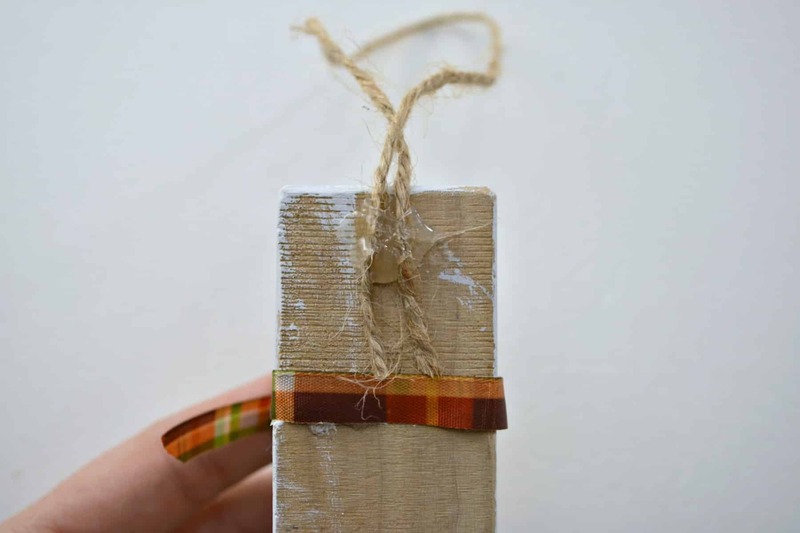 This way you can save time and make several ornaments quickly for gifts or for a class party. 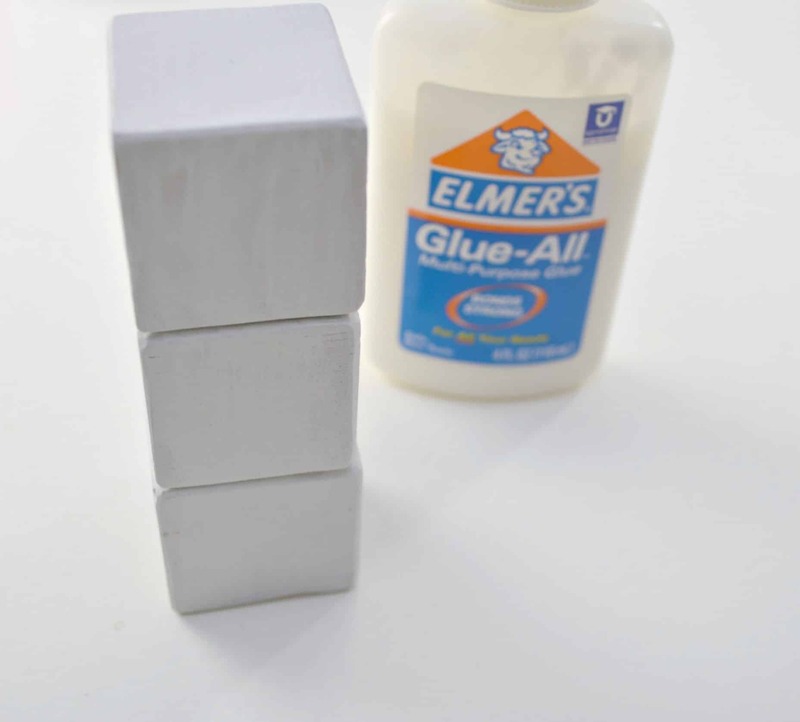 Once dry, use a low-temperature hot glue gun or other craft glue to attach your wooden blocks together, one on top of the other. This will form the body of your snowman. 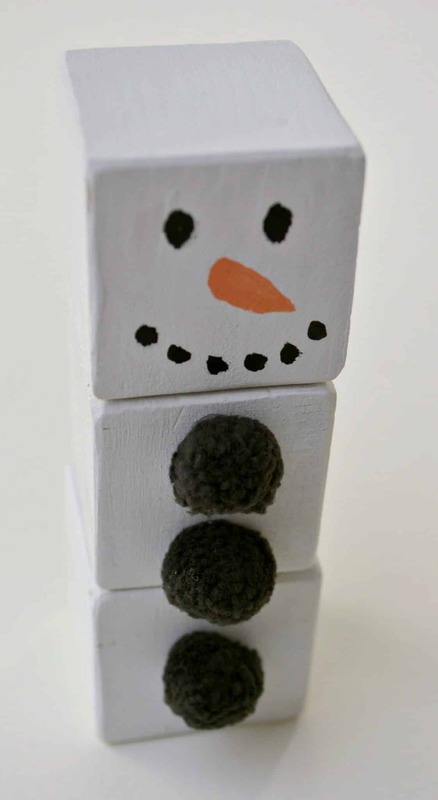 Using black craft paint and a thin bristled paintbrush, draw two eyes and a coal mouth onto the top wooden block to form the snowman’s face. Then paint a carrot nose in between the eyes and mouth with the orange craft paint and a thin bristled paintbrush. 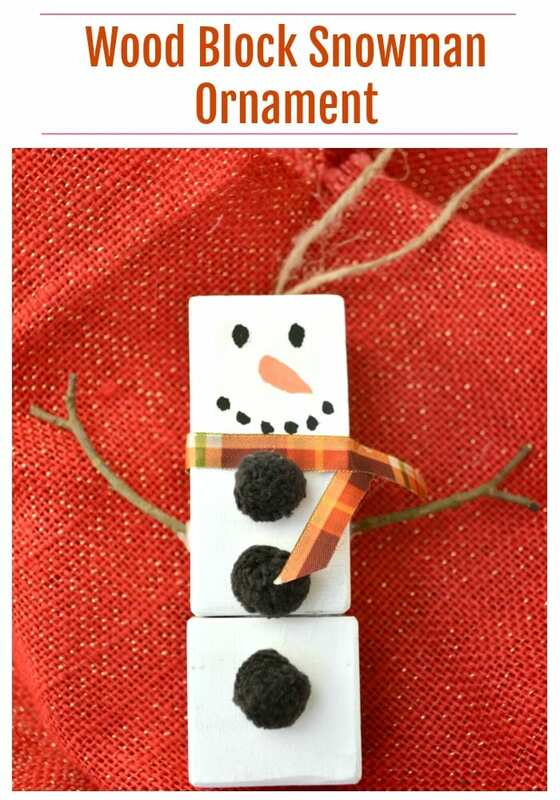 Use a hot glue gun to attach three black craft pom poms to the second and third blocks on your snowman. These will serve as his buttons. 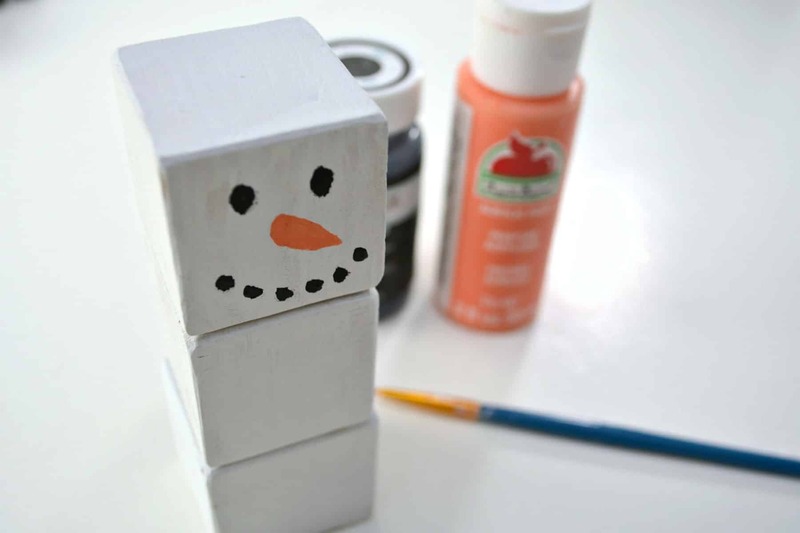 Glue a piece of ribbon around the neck of your snowman. Cut the ends of the ribbon with scissors to make it look like a dangling scarf. 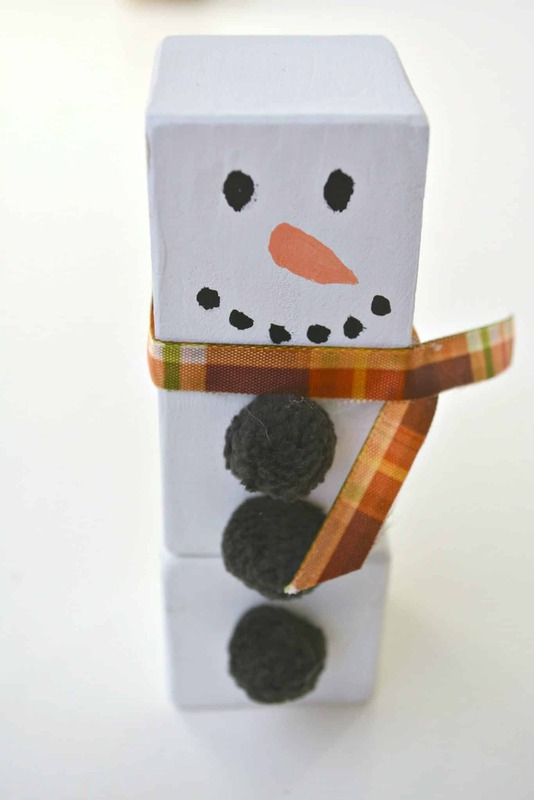 Loop a piece of twine and attach it to the back of your snowman’s head to serve as a hanger for your snowman ornament when you have finished. This time of year it’s so easy to find twigs lying around your yard. 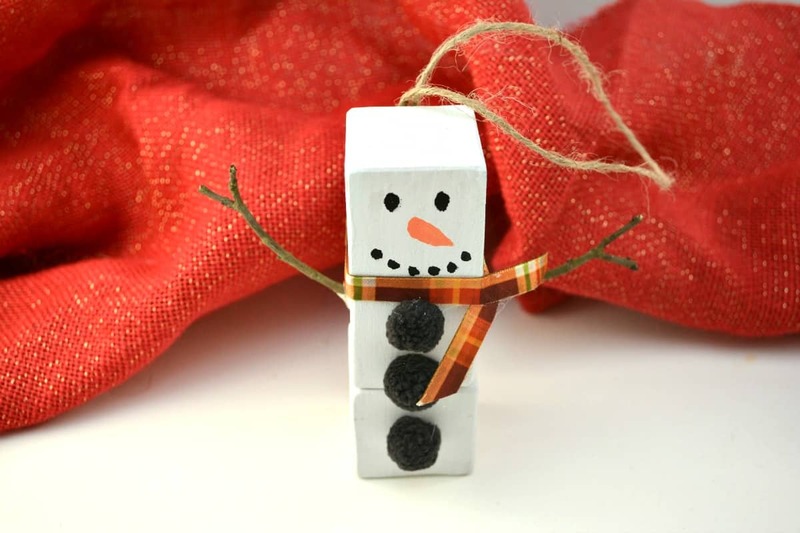 Attach two small twigs to the sides of your snowman ornament, one on each side to serve as his arms. 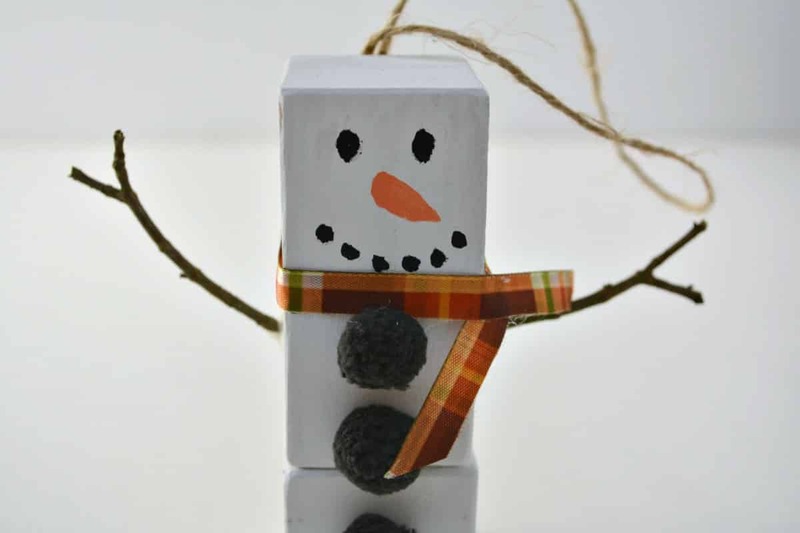 Hang your adorable snowman ornament on a tree or wreath and enjoy! Remember, if you like this post, please take the time to follow all my projects and finds here on Pinterest. Now that you’ve made your ornament, you can enjoy a Christmas dessert or watch a good Christmas movie.